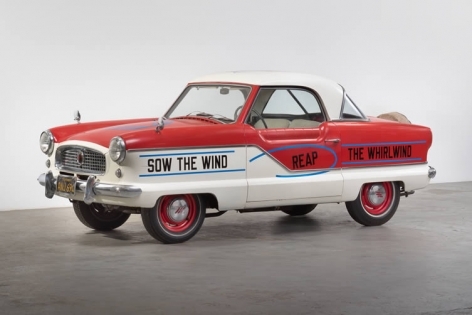 Symbol of freedom, emblem of status or identity, the car has been the machine that man has most connected with since Henry Ford’s Model T first rolled off the newly-imagined production line; petrol and pistons sparking creativity in artists from then on. 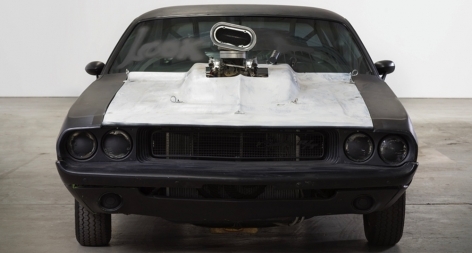 Firing up from where Piston Head: Artists Engage the Automobile — an exhibition that ran as part of Art Basel Miami Beach 2013 — left off, Piston Head II once again sees the curators from VENUS exploring the intersections between art and automotive. 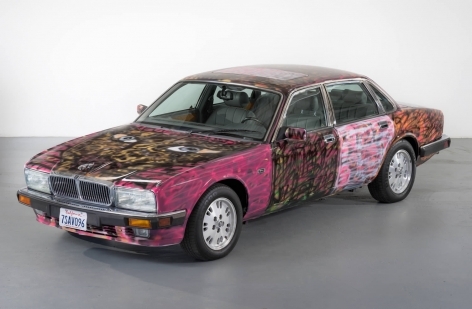 There are some familiar faces at the second instalment — César’s squished up 1995 work, Compression Voiture Venise, whilst street artist Kenny Scharf and perennial repurposer Richard Prince are back with newly reworked American classics. 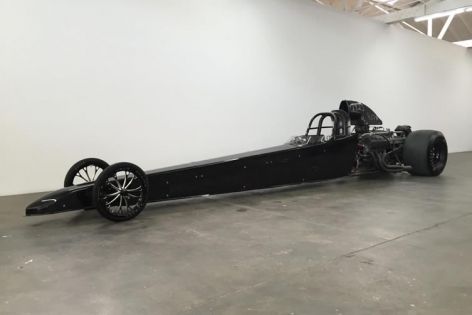 Olivier Mosset’s motorcycles are given new context in a gallery space, rising stars like Jonas Wood and Katherine Bernhardt are let loose on old motors, and artists like Peter Shire and Matthew Day Jackson bring their unique sculptural aesthetics to the realm of the automobile. 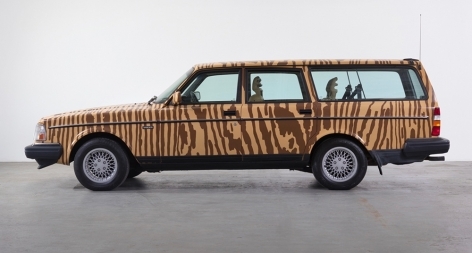 A separate event in partnership with Los Angeles’s Petersen Automotive Museum sees VENUS presenting Keith Haring’s Land Rover (1983), whilst Garage Italia Customs show off their artistry on a pair of fancy new motors. 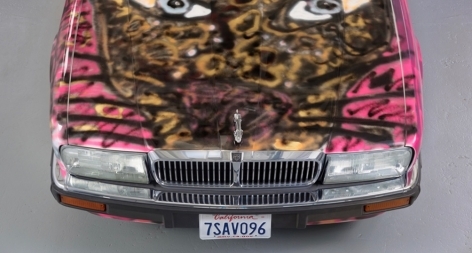 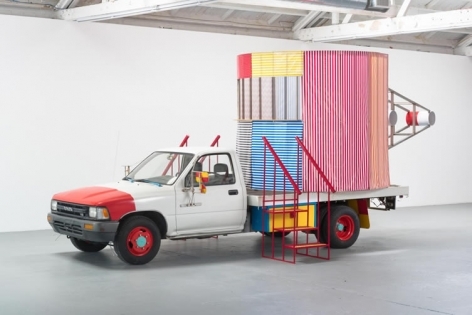 Piston Head II: Artists Engage the Automobile continues at VENUS Los Angeles until 10 September.